For sale here is a DOWNLOADABLE service - repair manual for the 2010 Lamborghini Murcielago LP670 Super Veloce . All information is factory material, in PDF format. The manual is in English, and contains 1374 pdf pages in total. The manual covers maintenance procedures, component location, service and repair procedures, and much more. NOTE: This manual does not contain wiring diagrams. 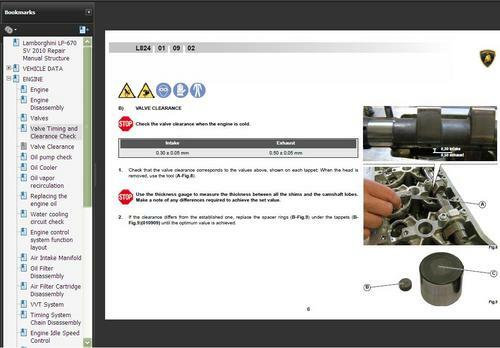 Lamborghini contains the wiring diagrams in a separate manual. The advantage of having the manual in PDF file format is that you can quickly search a keyword, or jump to a specific section to find what you are looking for. Also, you can print out a section to take with you to to the shop, and make notes on them.